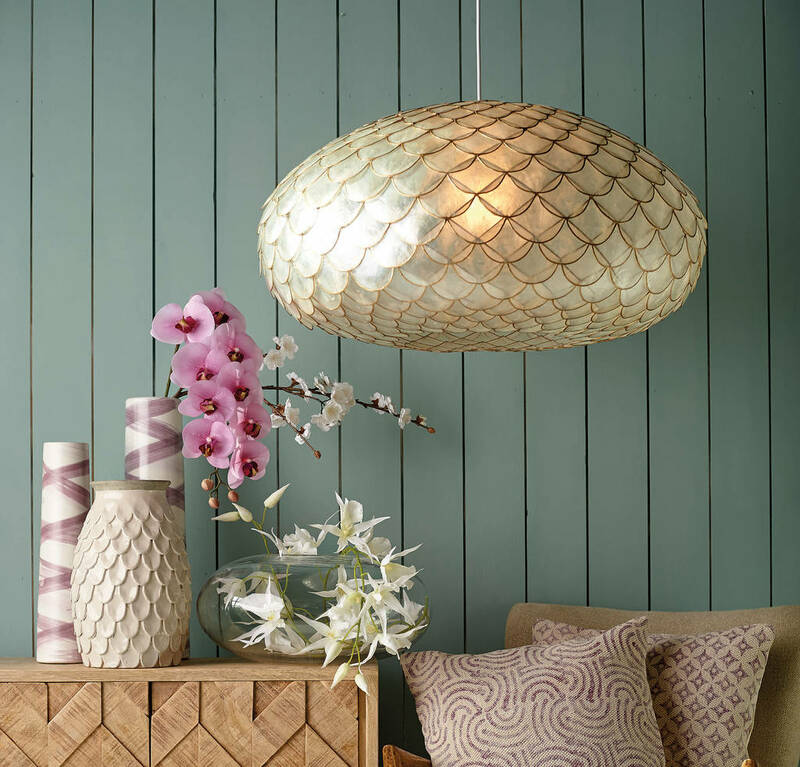 Delicately handmade from natural capiz shell, this stunning light is a beautiful statement piece. 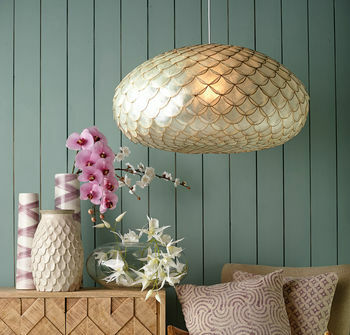 The pearly scalloped shells create a luminous effect and will project a soft glow. 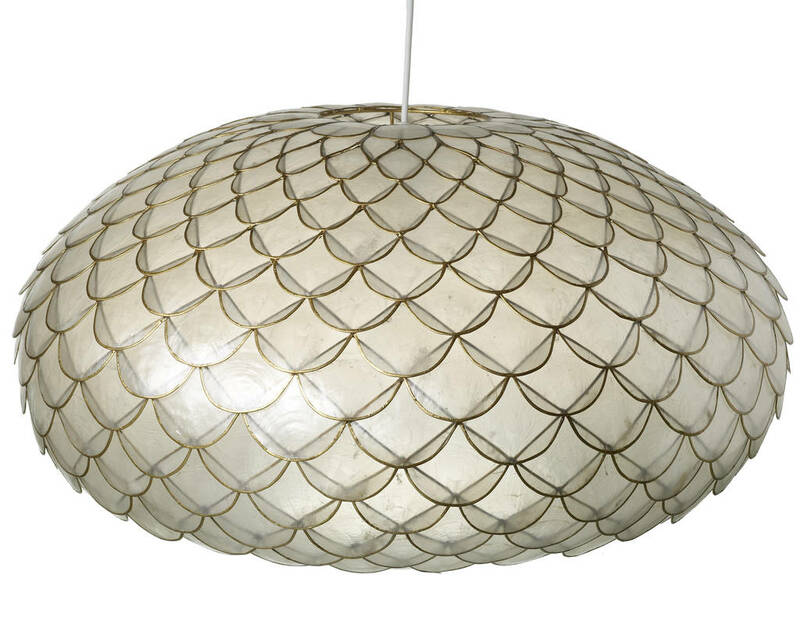 Please note this item comprises of the shade only which will fit a standard ceiling fitting.